Includes train tickets, hotel accommodations, tours and more. Today you embark on your journey to Germany! You'll arrive in Frankfurt a day ahead of your mother. Private transportation will take you to your hotel. Enjoy Frankfurt with your mom as you all settle into your new surroundings! 10am- Your driver private guide will pick you up from your hotel and drive to Ruedesheim for your Rhine River Cruise! You will see 6 castles on your way, and afterwards, you'll go to the famous Drosselgasse and enjoy a cable-car ride. Everyone coming to Ruedesheim loves this picturesque little town, as there are bars and taverns and little guesthouses and the play live music (even in the afternoon in most places). This is where you can enjoy German "Kaffee und Kuchen" (coffee and cake). Your guide will then accompany you back to your hotel, where you will be dropped off for the evening. This morning, you'll check out of your hotel and hire a taxi to the train station. Enjoy Essen for the day! Settle into your accommodations in Berlin. Note: Your hotel is near Tiergarten and the Charlottenburg Palace. With its English-style landscapes, Tiergarten is one of the largest and most celebrated parks in Germany and one of the things not to miss in Berlin. The inner-city park was once devoted to the king’s hunting grounds, but today it draws people who simply want to enjoy a large green space for picnics, sunbathing or recreation. The pretty park is also strewn with important memorials and landmarks, which makes it an interesting place to explore. 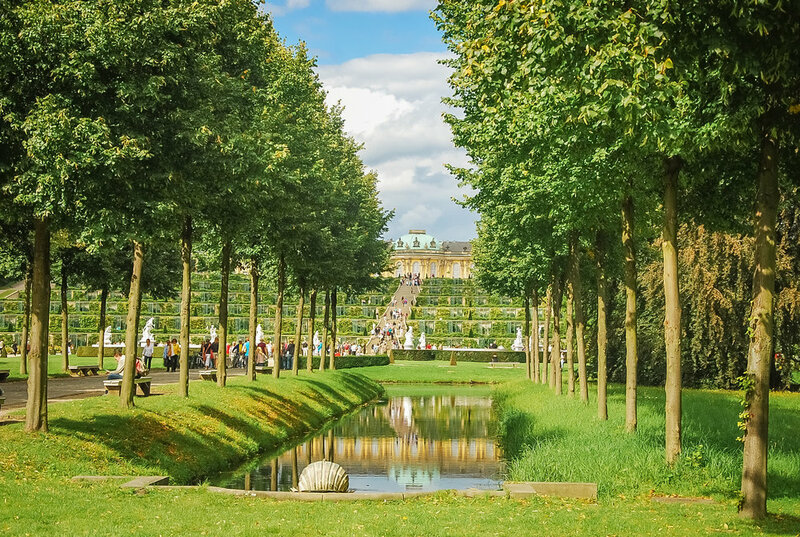 Synonymous with German royalty, Charlottenburg Palace was Berlin’s largest royal estate. It was constructed during the 17th century, and the palace is filled with crown jewels and illustrious collections of ceramics, antiques and more. The palace gardens are enchanting, but its most beloved attraction is the teahouse that also features a stunning collection of porcelain. Your driver and private guide will pick you up and drop you off at your hotel. This itinerary is fully customizable to your needs and can even be adjusted onsite. Navigate through the many layers of Berlin's past to uncover its fascinating secrets - all of which have left their mark creating the melting pot of diversity it is today. From the city's swampy origins to the rise of the Prussian army, through Hitler's megalomaniacal vision for a new world capital to the totalitarian communist regime that led to division and the construction of the Berlin wall. These tours require some walking, and have transportation added in to help lessen fatigue. As the vibrant capital of Germany, Berlin is a draw for visitors from around the world. Filled with historic landmarks, incredible architecture and world-class cultural attractions, both old and new aspects of this city are definitely worth exploring. There’s a creative energy and a certain swagger here that gives trendsetting Berlin a distinctive edge, yet its complicated past is never far from the surface. It’s a big metropolis, but its key areas are relatively easy to navigate. Encompassing the old center of the city, the Nikolai Quarter is the oldest residential area of Berlin. It is home to a number of historic buildings like St. Nicholas’ Church, Ephraim Palace and various museums. Spending a day wandering the medieval lanes in this part of the city will give you an atmospheric glimpse into Berlin’s past. With lots of bars and restaurants, this is a great neighborhood to enjoy an authentic German meal and experience some of Berlin’s celebrated nightlife. As Berlin’s most famous street, the avenue of linden trees is easily one of the best-loved boulevards in Europe. Many locals come to meet up with family and friends along this pedestrian-friendly stretch, once the hub of Berlin’s cabaret culture. Tourists also flock here, but you’ll find that it’s always pleasant to amble around here, even on a crowded day. This revitalized mall is once again the historic heart of the city. With its nearby cafes, statues, embassies, landmarks and parks, the scenic avenue is the perfect place to stroll with a cup of coffee as you take in the sights. It is the route to many of the city’s main attractions, and definitely one of the things not to miss in Berlin. 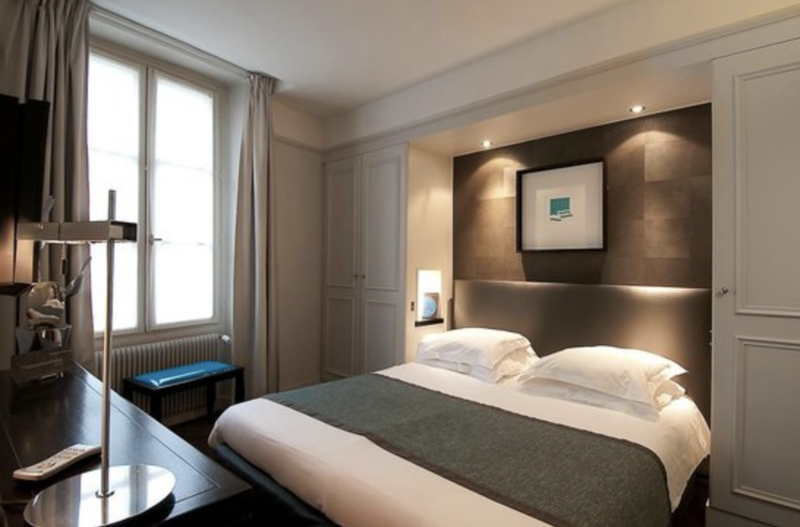 Settle into your accommodations in Frankfurt.